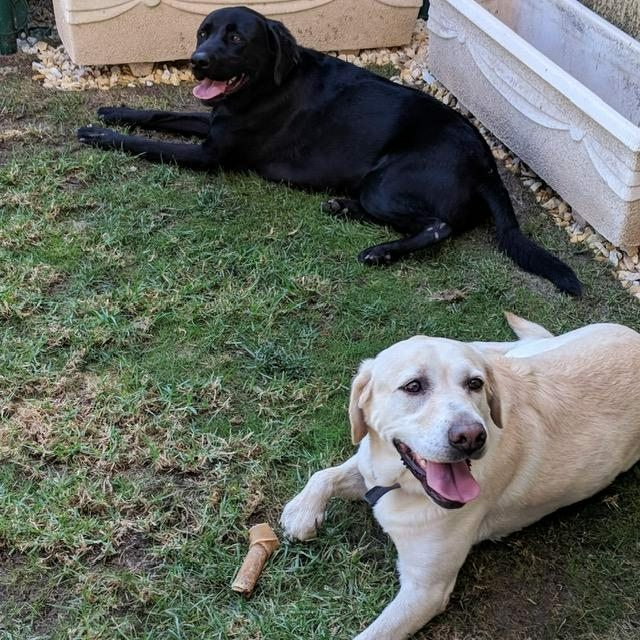 Joe and Beth are 7 year old male and female Labrador Retrievers. Joe and Beth are brother and sister, they have always lived together and would love a new home together. They are both very affectionate. They are housetrained and can live with cats. Joe is a Black Labrador Retriever, who weighs 30kg. Beth is a Blonde Labrador Retriever who weighs 25kg. Both dogs are very affectionate, great with cats and other dogs. 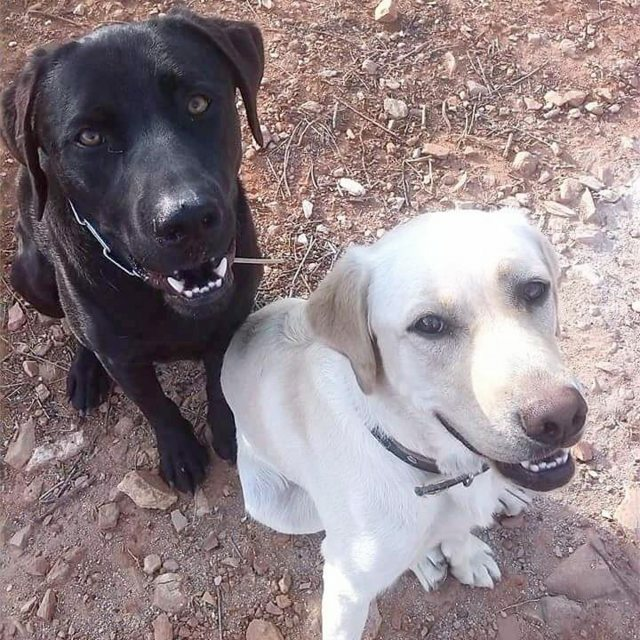 Sadly Joe and Beths owner has died so they are looking for a new home, it would be good if could be homed together as have lived together since pups. Joe and Beth may need some lead training as they can pull. They are a happy pair who would make great companions. Joe and Beth can be homed separetly as they are desperate to get a new home.